How can we confront the rise in racism? From the refugee crisis to racist attacks, from police brutality to burkini bans, how can we confront the rise in racism? Tackling racism remains one of the key challenges in our society. Refugees are still being left to drown or face squalor in camps such as Calais, while there’s been a rise in reported hate crimes in the UK since the referendum. We’ve also seen racism come to the fore elsewhere – from police killings in the US to burkini bans in France. Come to this open organising meeting to discuss how we can stand up to racism and to plan future activity locally. 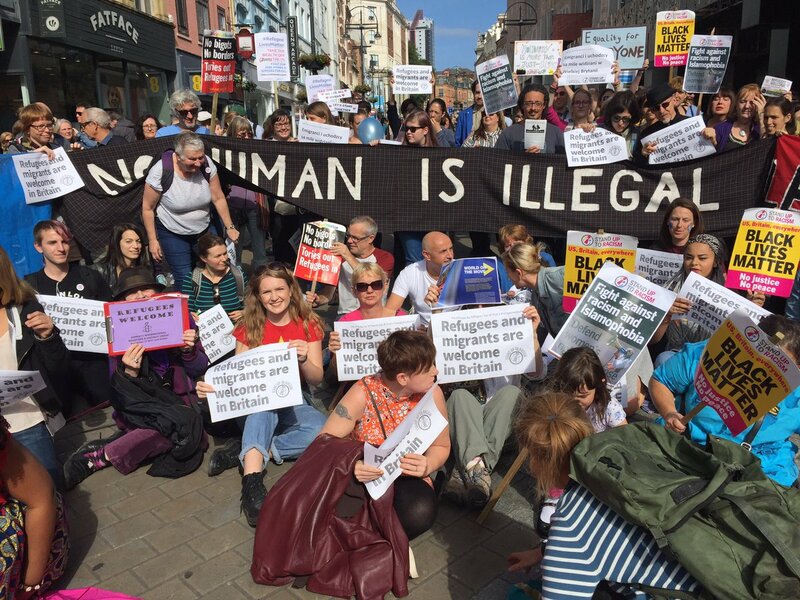 Wednesday 5 October – Eyewitness report from the Calais ‘jungle’ refugee camp – with Lesley McGorrigan and Jeremy Toner – University of Leeds UCU. Open meeting all welcome – Wednesday 5 October, 1pm, Roger Stevens Lecture Theatre 10, University of Leeds. 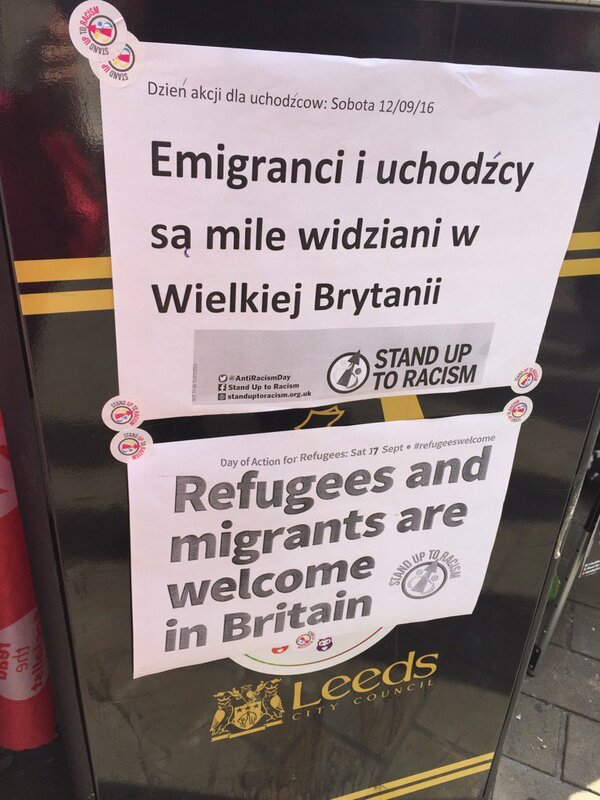 Supported by University of Leeds UCU and Leeds Stand Up to Racism. Saturday 8 October – National Stand Up to Racism Conference in London – Confronting the Rise in Racism – speakers include Jeremy Corbyn, Diane Abbott, Alf Dubs, Owen Jones and others – to register see here – to book your place on the Leeds SUTR coach down, leaving 6am West Yorkshire Playhouse call 07900324479. – Solidarity with the Rotherham 12 – Protest outside Sheffield Crown Court on the date of the trial (tbc) – email sutrleeds@gmail.com for more info.